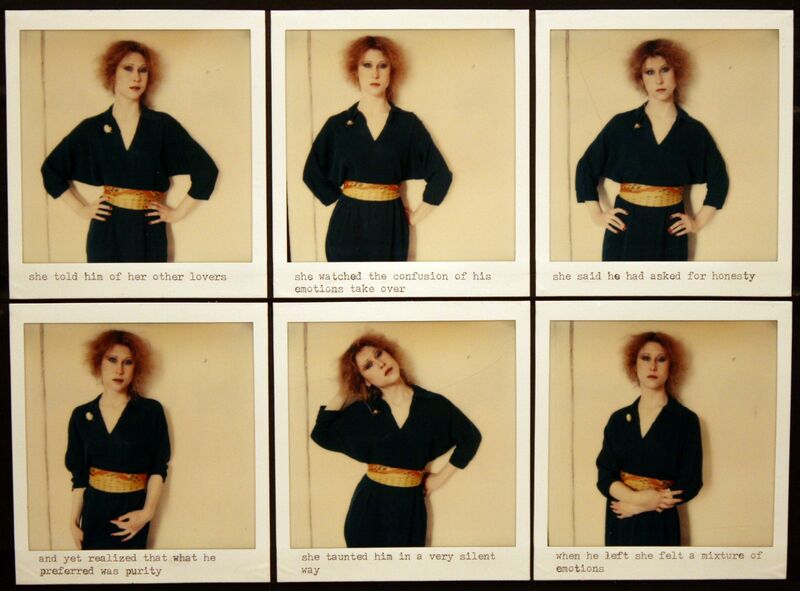 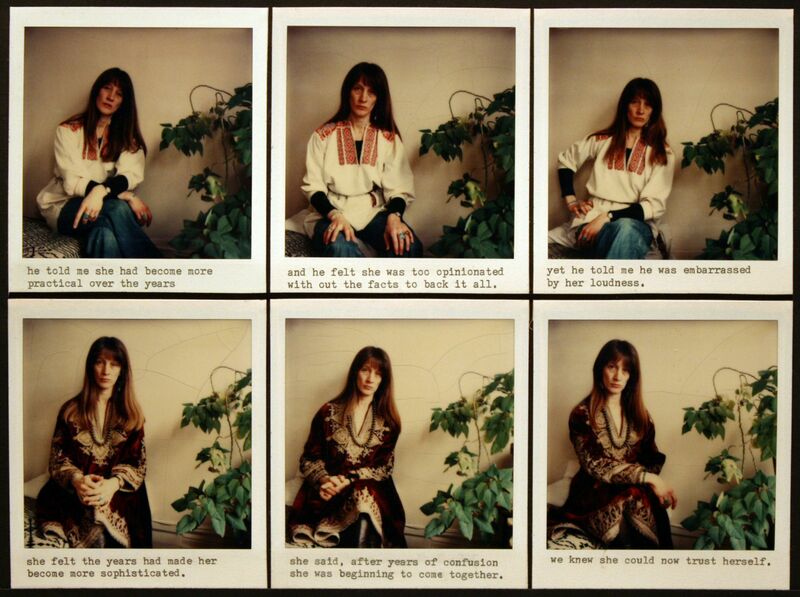 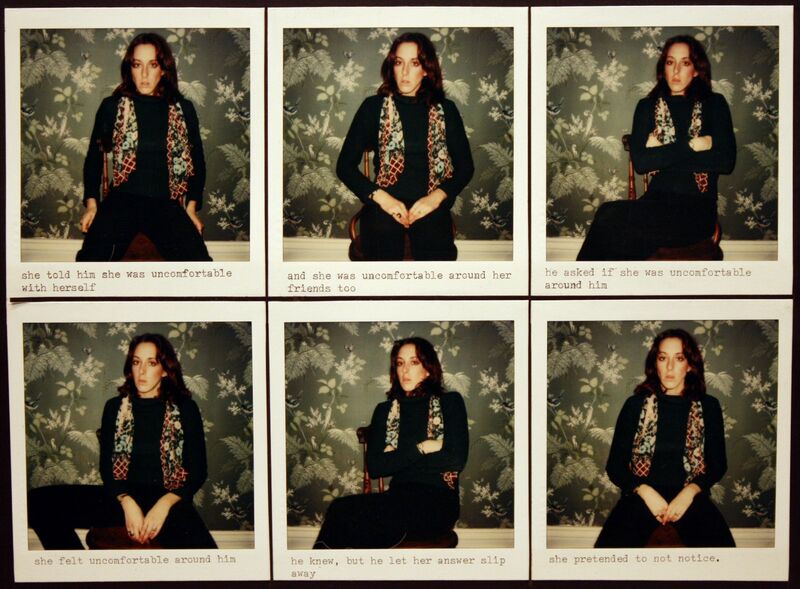 Barbara Astman started using the Polaroid camera in 1977. 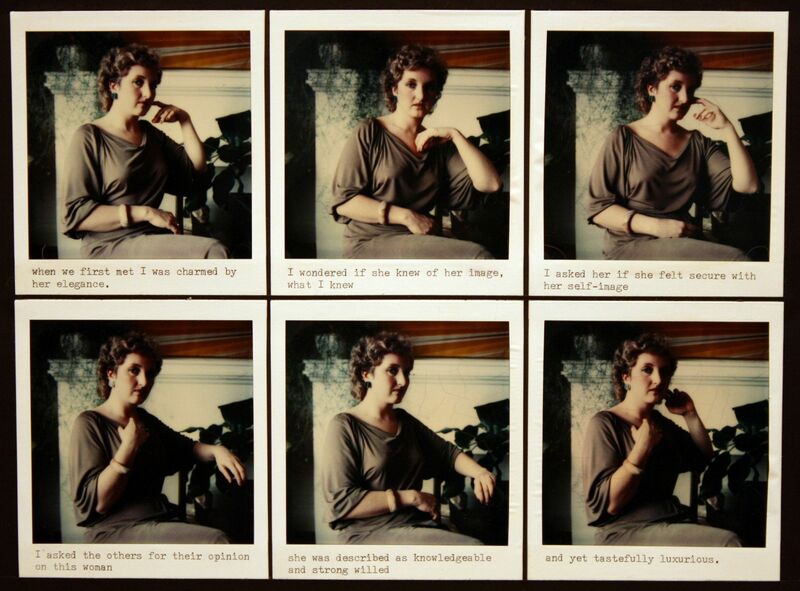 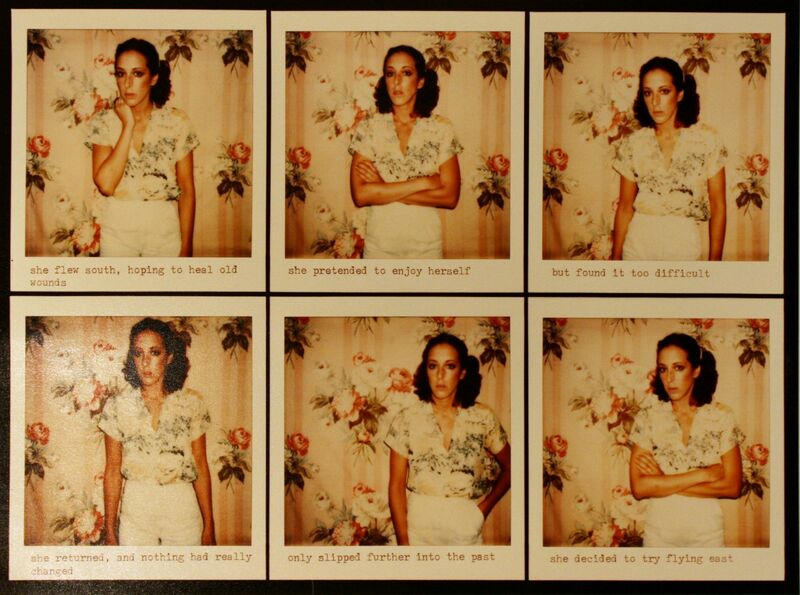 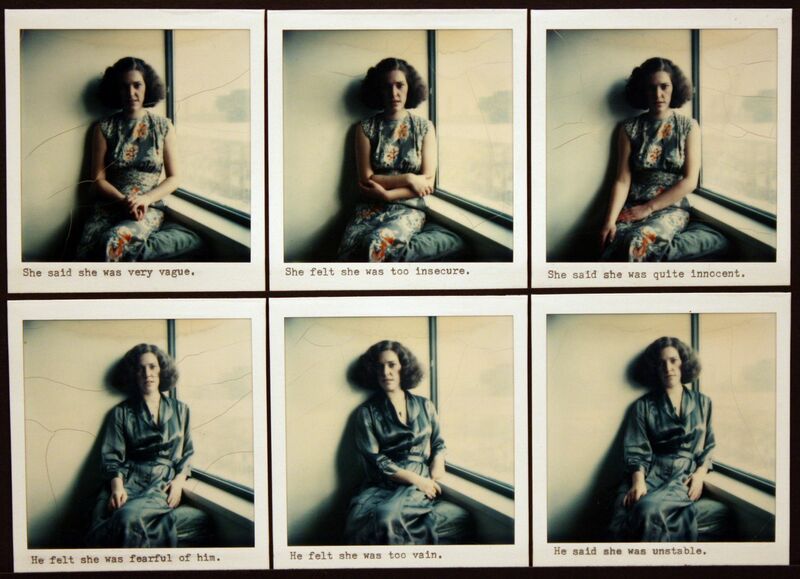 She was lead to the Polaroid for art making via her experimentation with the colour Xerox. 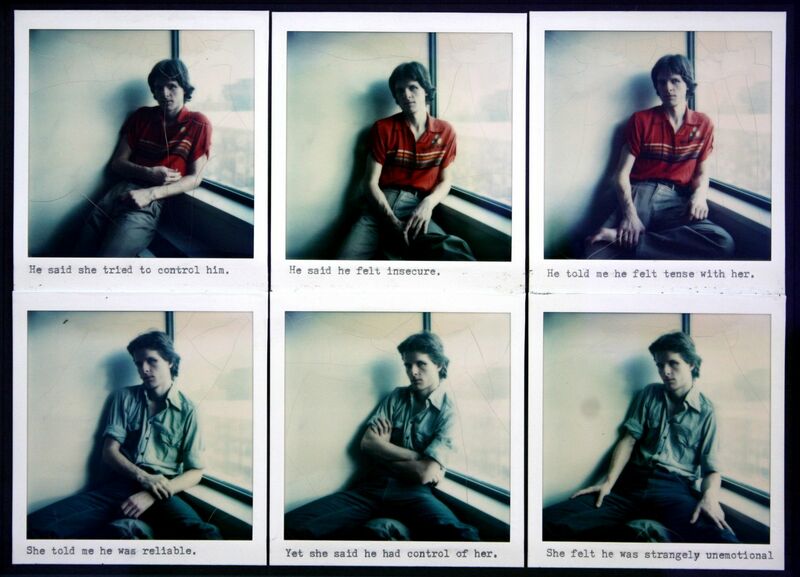 Within a portable apparatus, the Polaroid camera offered instantaneous photos which inspired a collection of responses from Astman. 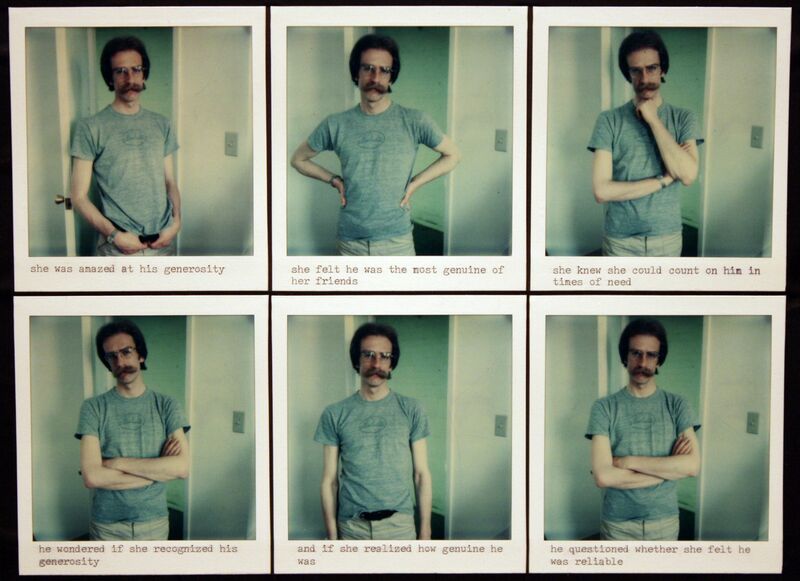 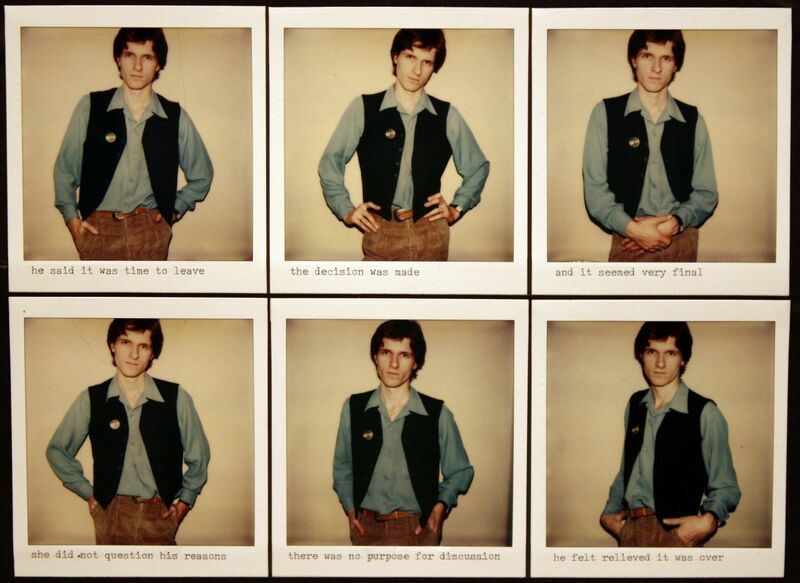 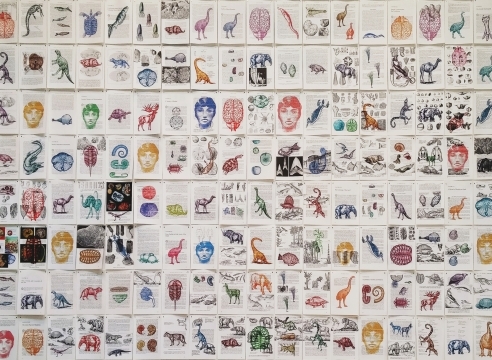 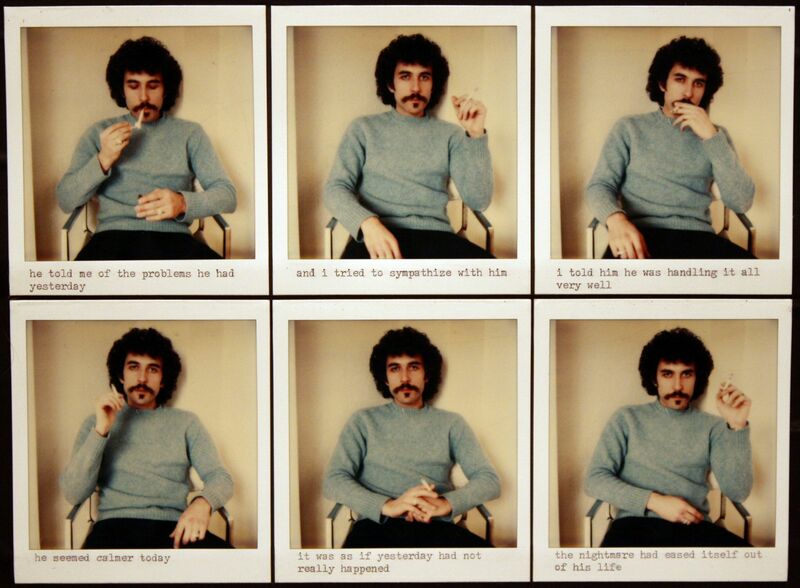 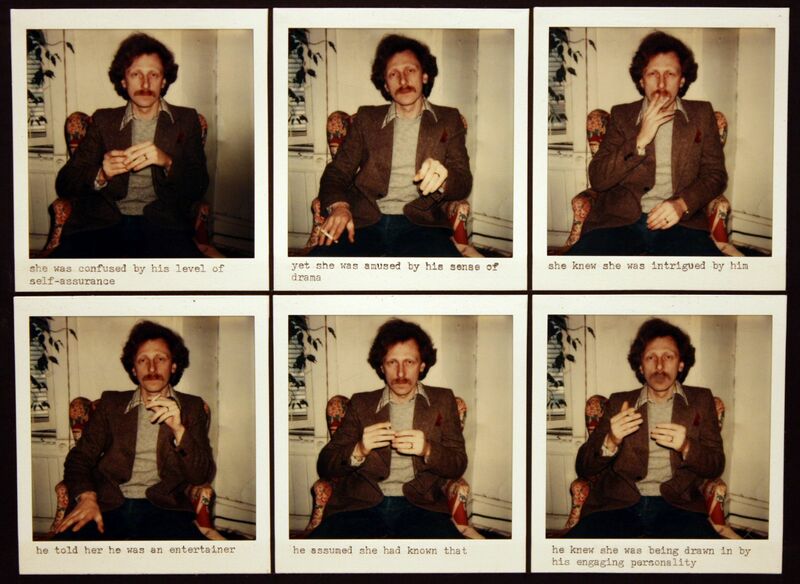 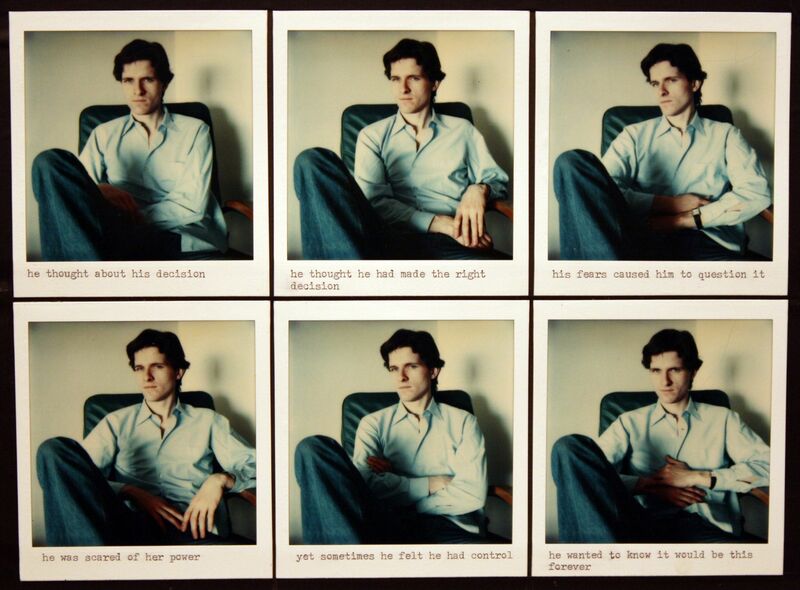 The series Visual Narrative, from 1978-1979 investigates properties of narrative by using text and repetition. 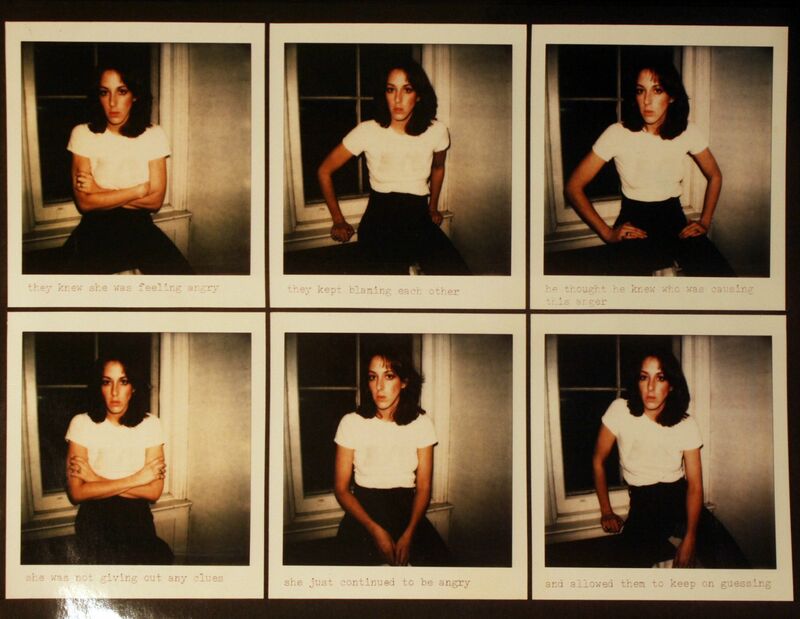 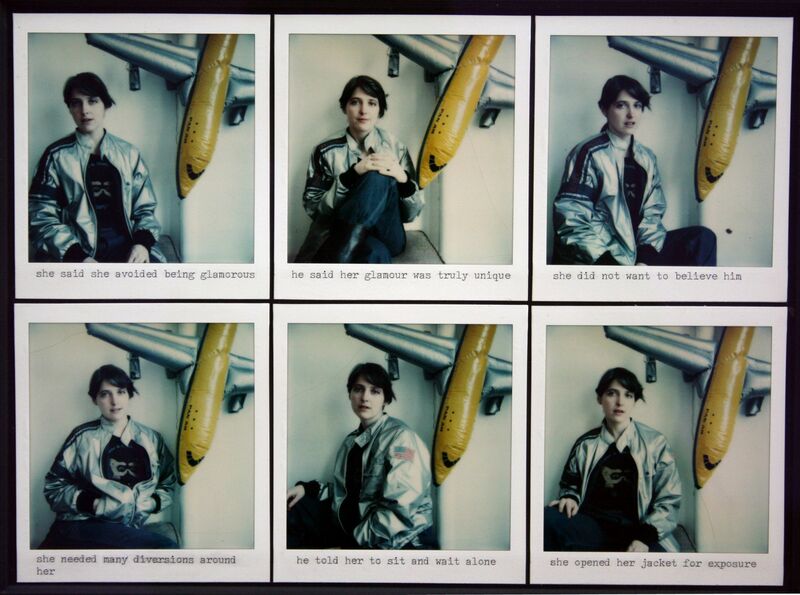 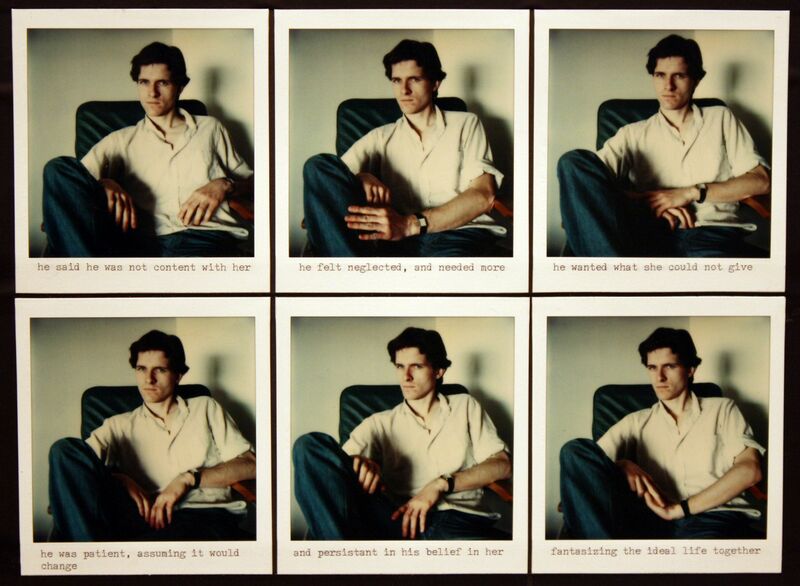 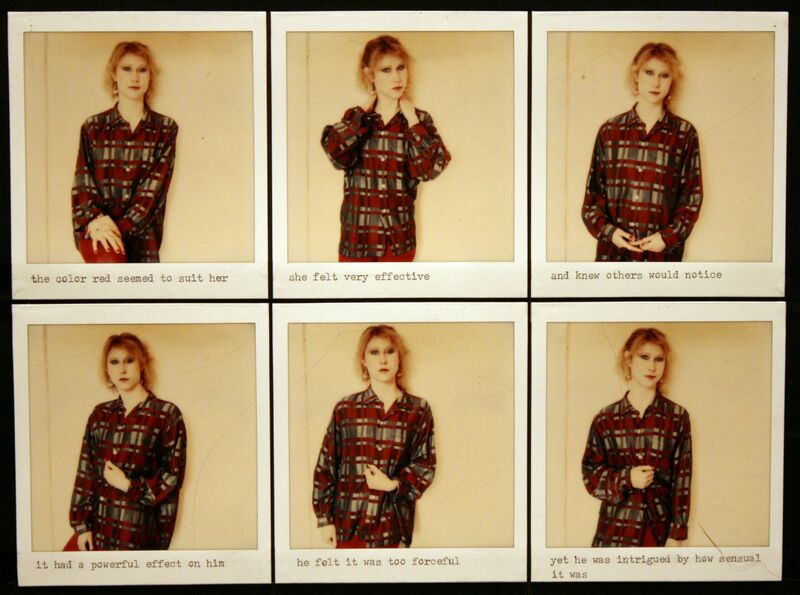 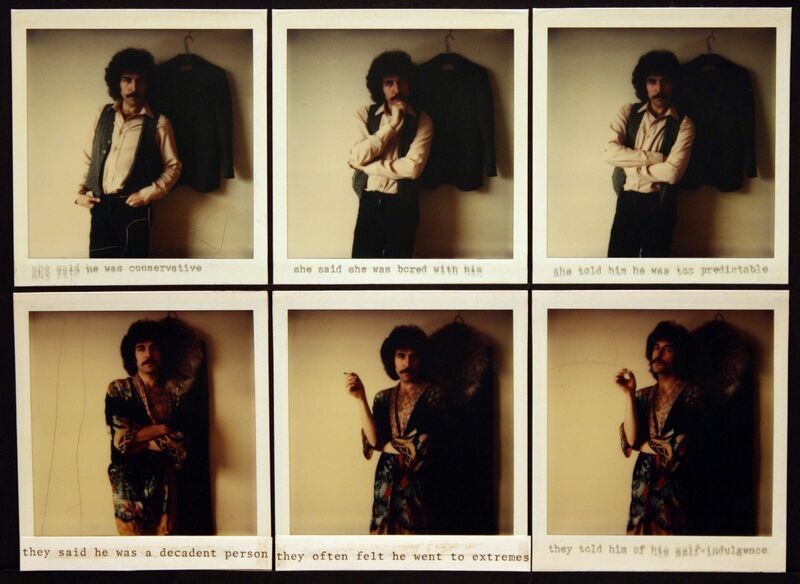 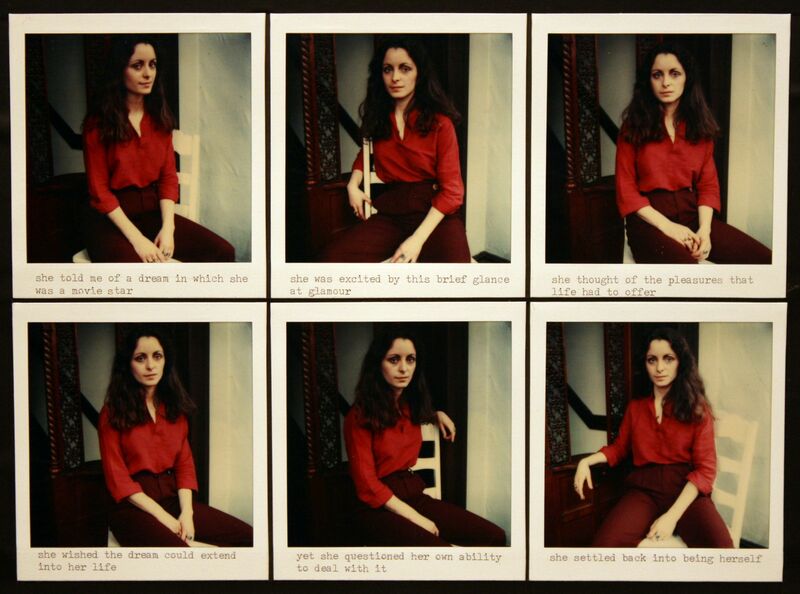 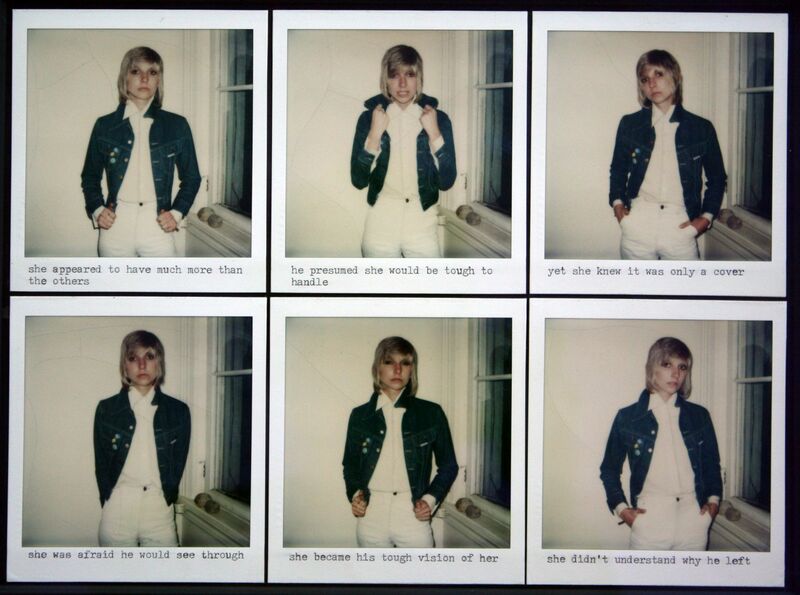 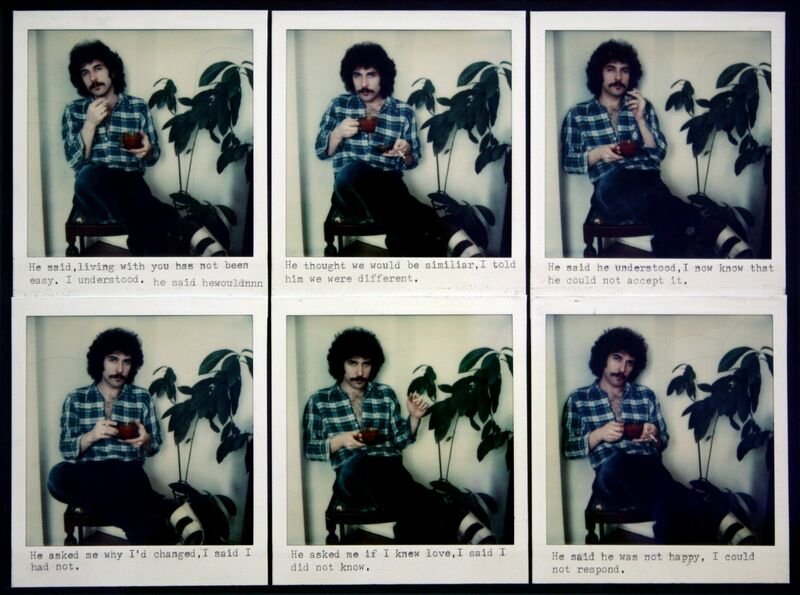 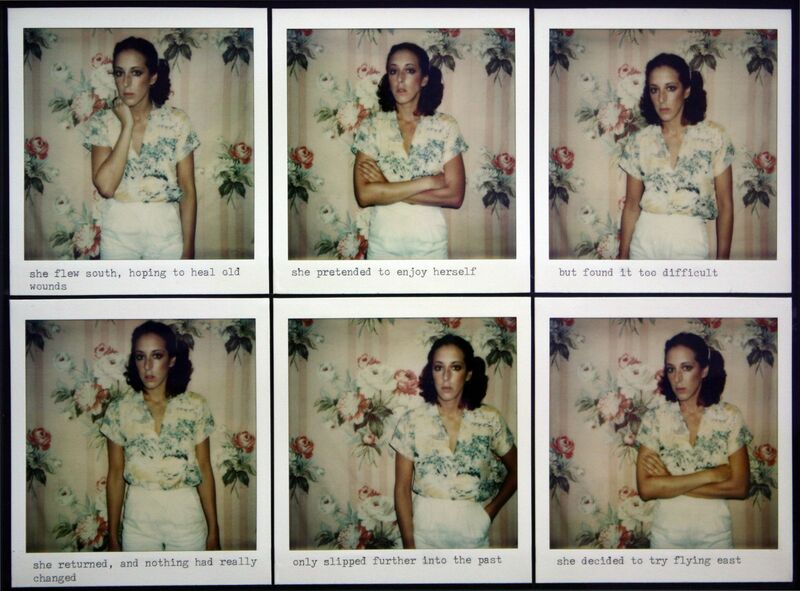 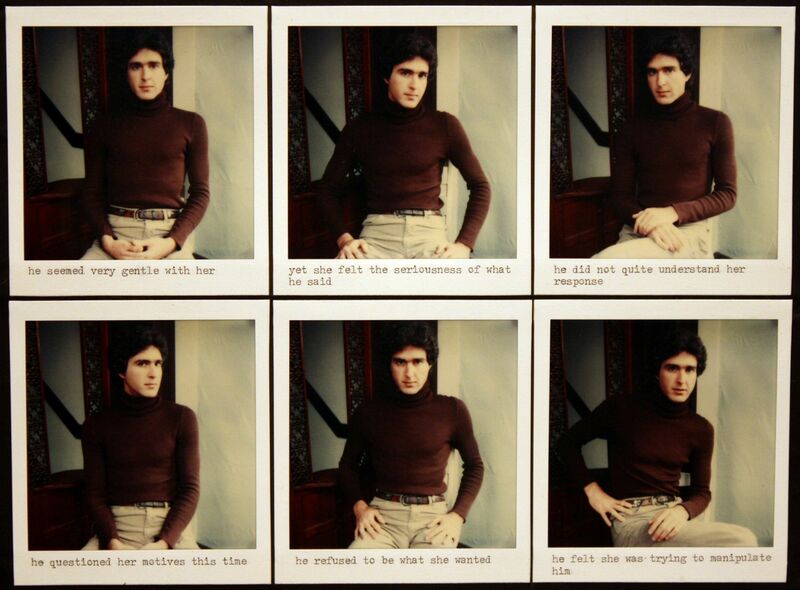 The medium of the Polaroid, specifically, the structure of the photos in sets of six and arrangement in a grid leads the viewer into a scene which is additionally aided by text typed directly onto the Polaroid’s frame. 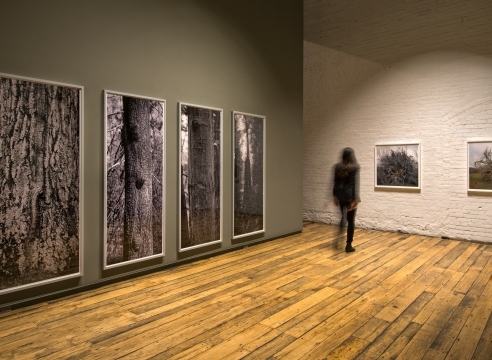 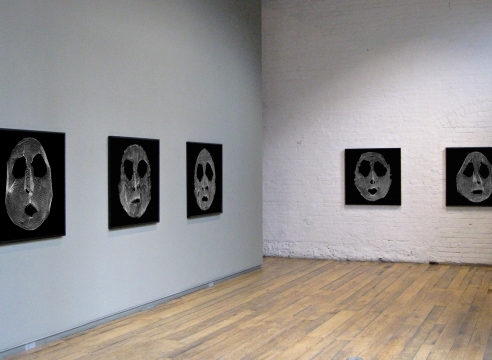 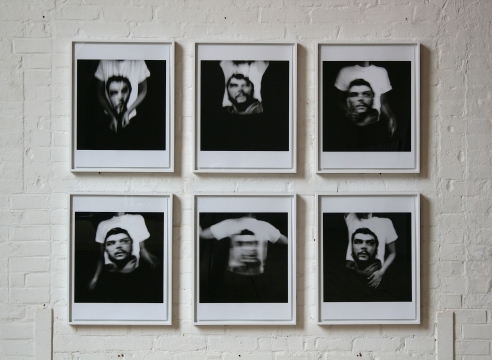 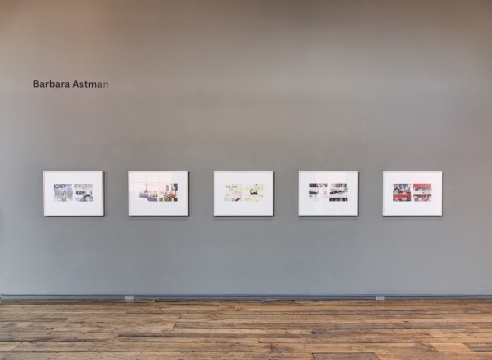 Astman's investigation in narrative through photography reflects concepts being investigated within the context of emerging video art, a newly accessible medium at the time. 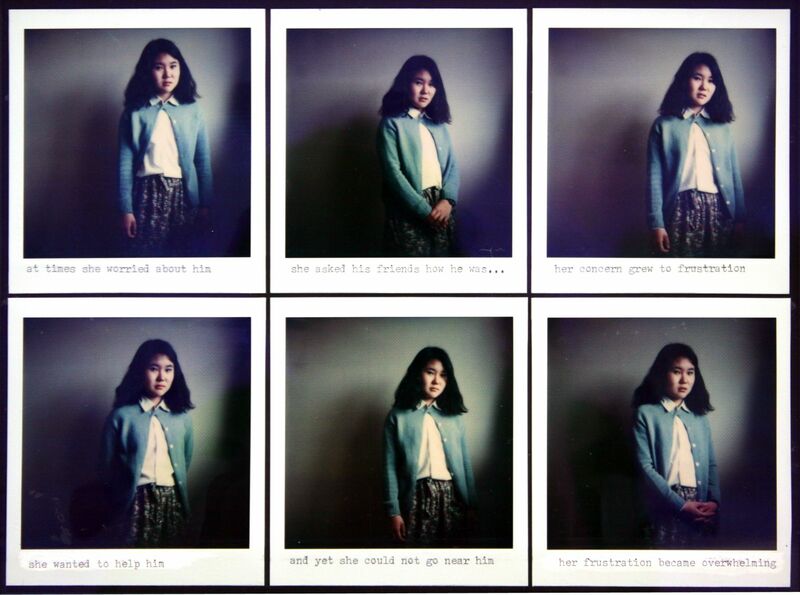 Polaroid's, like video’s ability to offer instant playback, could provide instant output of images (in contrast to film which had to be developed). 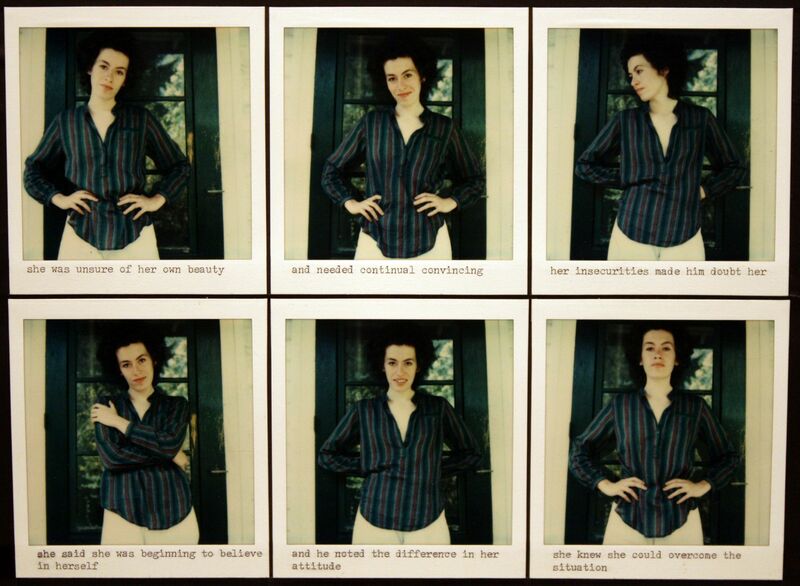 This mirror-like property promoted a new vein of performances for the camera and, hand-in-hand with feminist centered examinations of the self, images addressing gender issue surfaced. 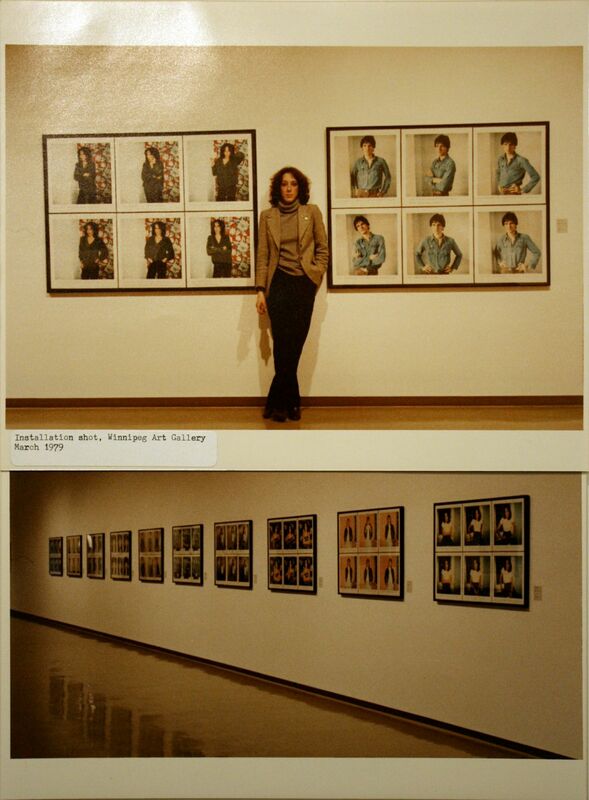 Exposing a complex relationship between the artist and the subject, Astman’s authoritative stance in both her self-portrait from this series as well as her use of women and men as subjects brings forth gender issues that reflect the social, cultural, and political climate of the 1970s. 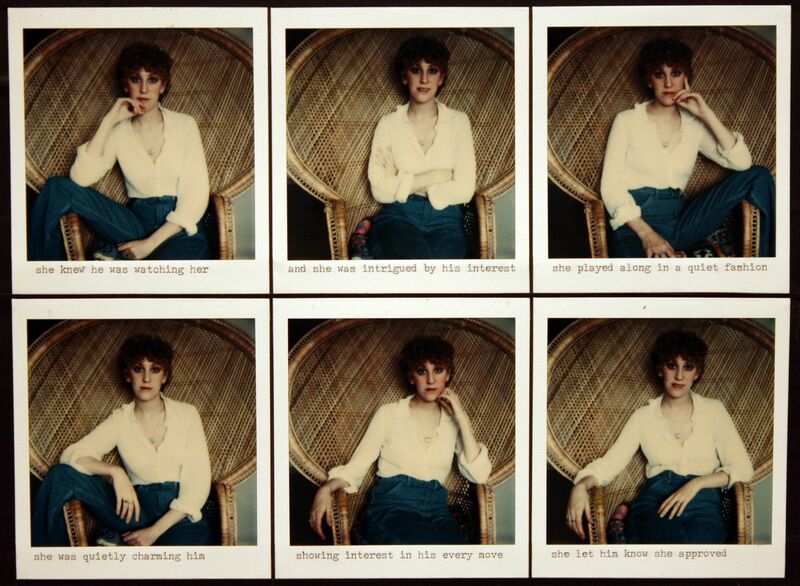 Pre-digital, but on the cusp of the instant and excessive narcissistic culture that digital imaging has allowed, Visual Narrative provides an early and daringly personal investigation of a technical and cultural phenomenon.